Juan’s Drywall, Inc. out of Lawrenceville, GA completed the drywall on the Green House last week. With the drywall being completed, the house is really starting to take frame of an actual home. Juan’s Drywall was very excited to volunteer to work on this home because of the charitable donation Brock Built is making with the auction. For those that don’t know, the Atlanta Green House is a home being built on a volunteer basis by Atlanta builders. 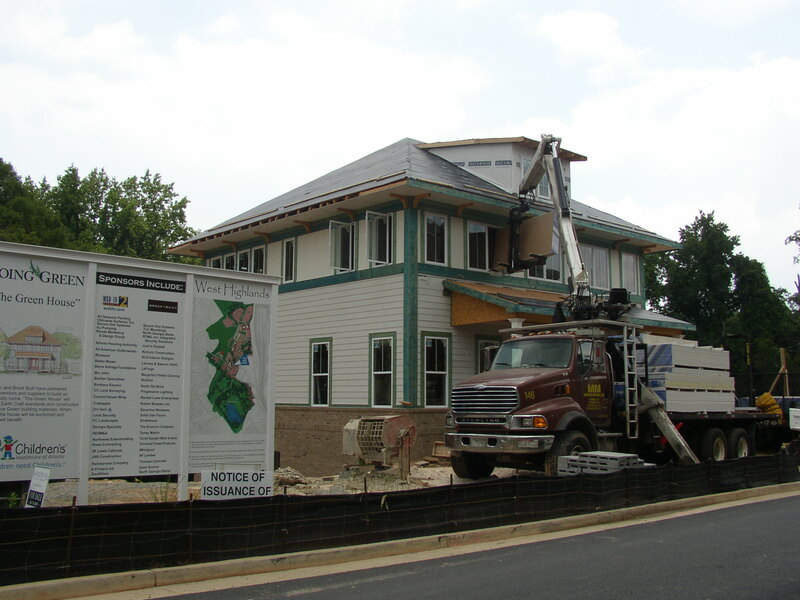 The house is utilizing (and exceeding) all of the new standards necessary to make the house qualify as a “green home.” Once completed in October, the Green House will be auctioned off and the proceeds will go to Children’s Health Care of Atlanta. The great part about this home is not only is it a charitable donation that will help children in Atlanta, but also that it will serve as a great example of respecting our environment for future homes built all over the country. With progress mounting so fast, the dreams of the Atlanta Green House are finally becoming a reality. 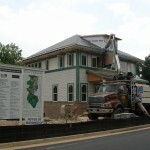 This entry was posted in Energy Efficient, The Green House and tagged Atlanta, Brock Built, Children's Health Care of Atlanta, green home, Green House, Juan's Drywall on July 23, 2008 by Carol Morgan.